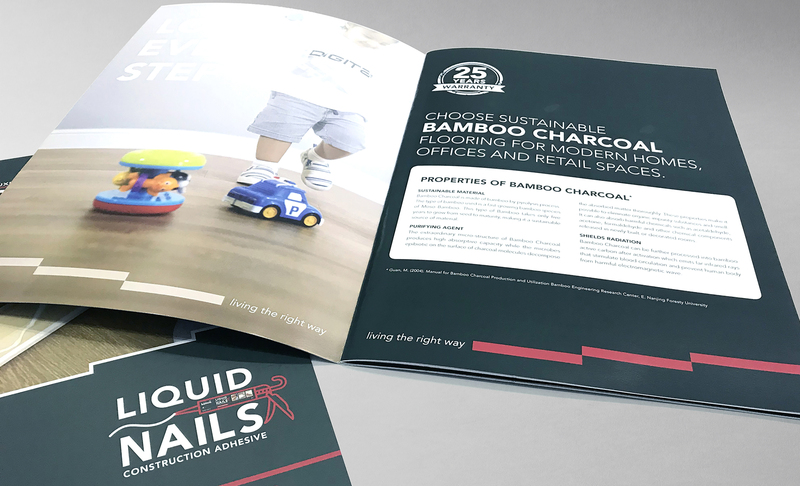 Bamco is a newly established company in Singapore (Headquarters), Philippines and London, that provides building solutions with innovative technology. 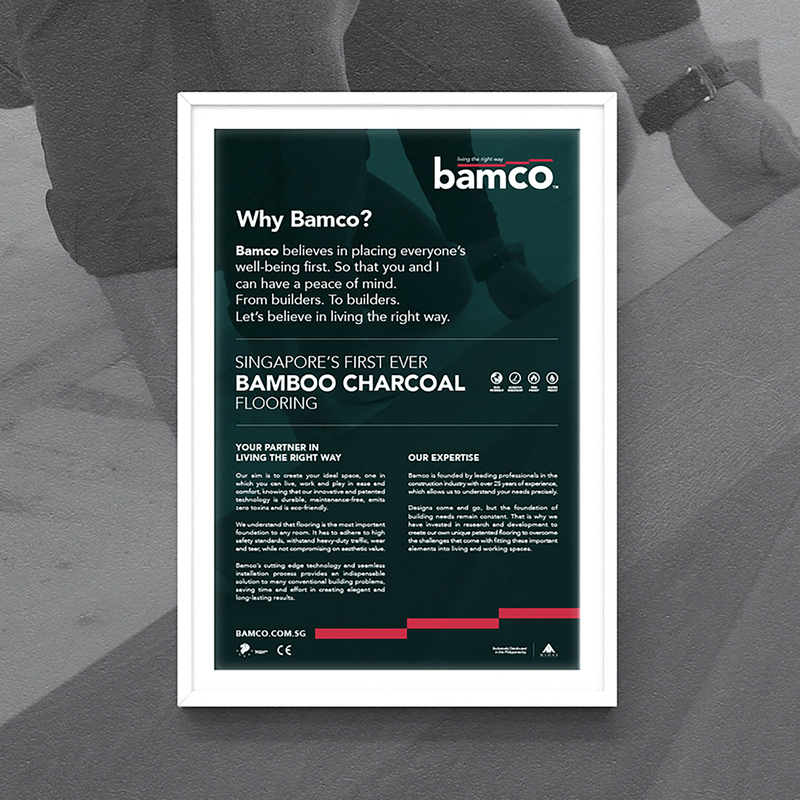 In particular, their flagship product is the BamcoFlor – an eco-friendly, patented Bamboo Charcoal flooring. There were two factors to consider – Bamco’s ability to reach out to Singaporean audiences and their ambitions to become an internationally renowned brand. 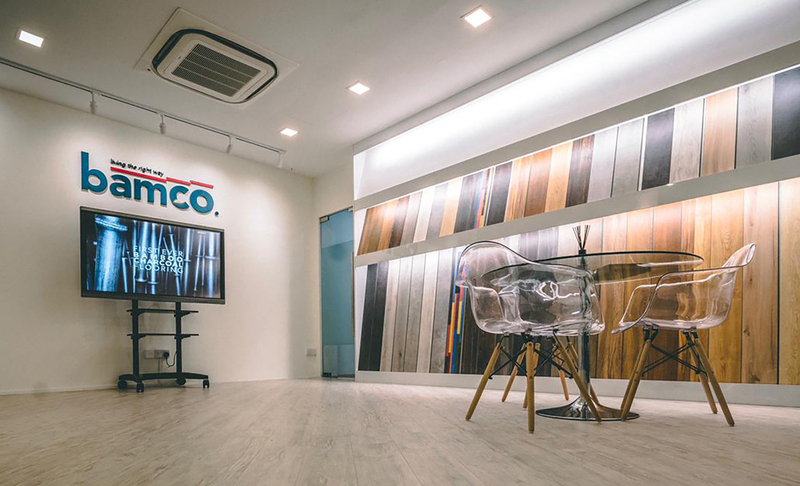 Firstly, to reach out to Singaporean audiences, people had to understand the importance of flooring. Secondly, Bamco’s previous branding designs were insufficient to impress and resonate with international audiences. 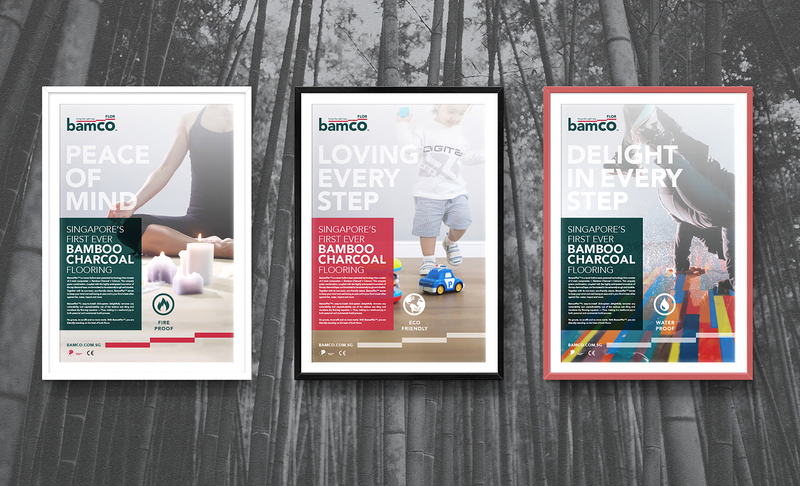 Adwright began the rebranding efforts for Bamco by creating a logo with newly chosen colours: forest green and red. The new tagline, “living the right way” was conceived to embody the spirit of Bamco – which is about perfecting the crucial elements in building needs (such as flooring) so as to attain an ideal lifestyle. 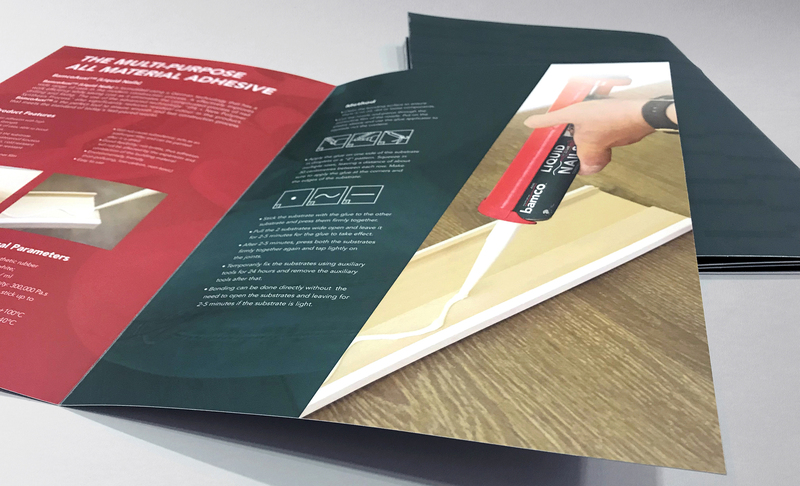 The newly established design guidelines extended to Bamco’s packaging, brochure and website designs. 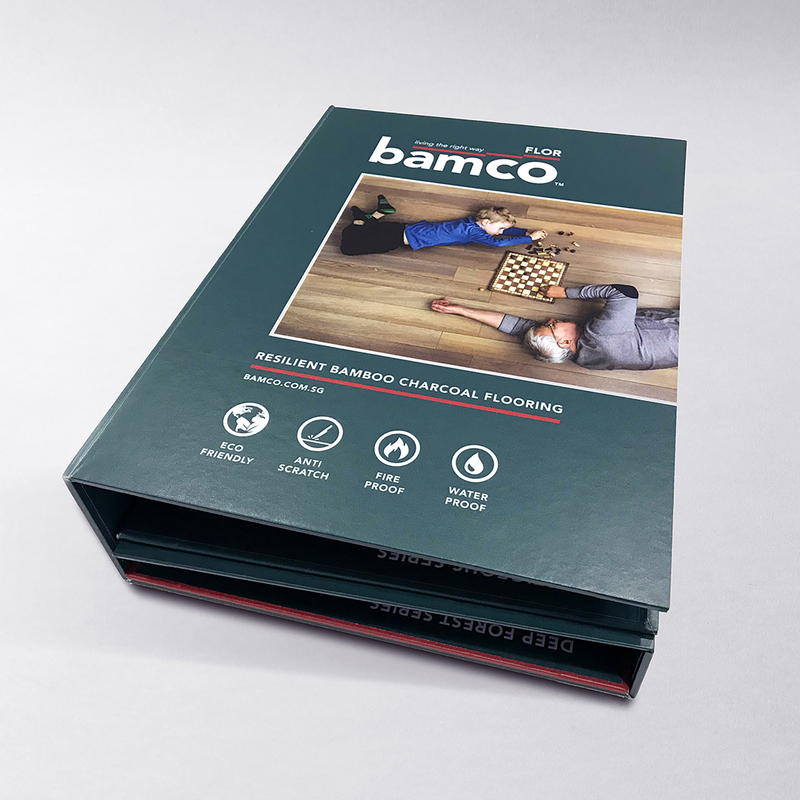 These communication tools served as mediums to educate consumers on the importance of flooring, and illustrated BamcoFlor’s exceptional attributes in simple pictures and words. 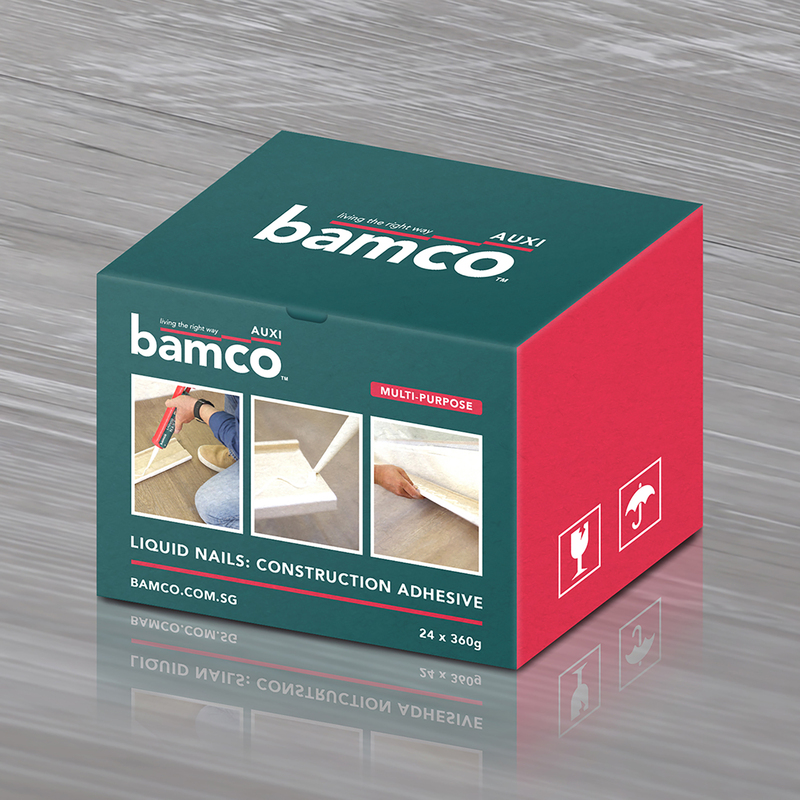 Bamco’s brand architecture was also structured in a straightforward manner, with Bamco as the overarching brand of product segments such as BamcoFlor (flooring), BamcoAuxi (auxiliary materials) and BamcoWall (wall-related products). This also meant that future product ranges could be easily organised as part of Bamco’s brand without additional branding efforts. After the rebranding efforts, Bamco looked a lot more professional with an elegant look and feel that gave it a competitive edge in the international market. 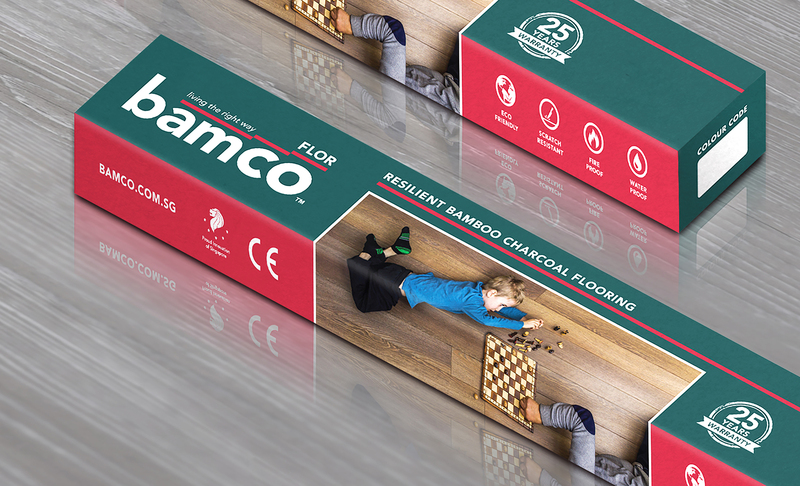 Armed with proper brand communication tools, Bamco successfully launched BamcoFlor in overseas events and received positive appraisals from fellow industry practitioners.